Delve into the mind of one of the 20th Centuries’ most enigmatic figure with Castro’s Cuba, a unique an telling portrait of Cuba and its leader. 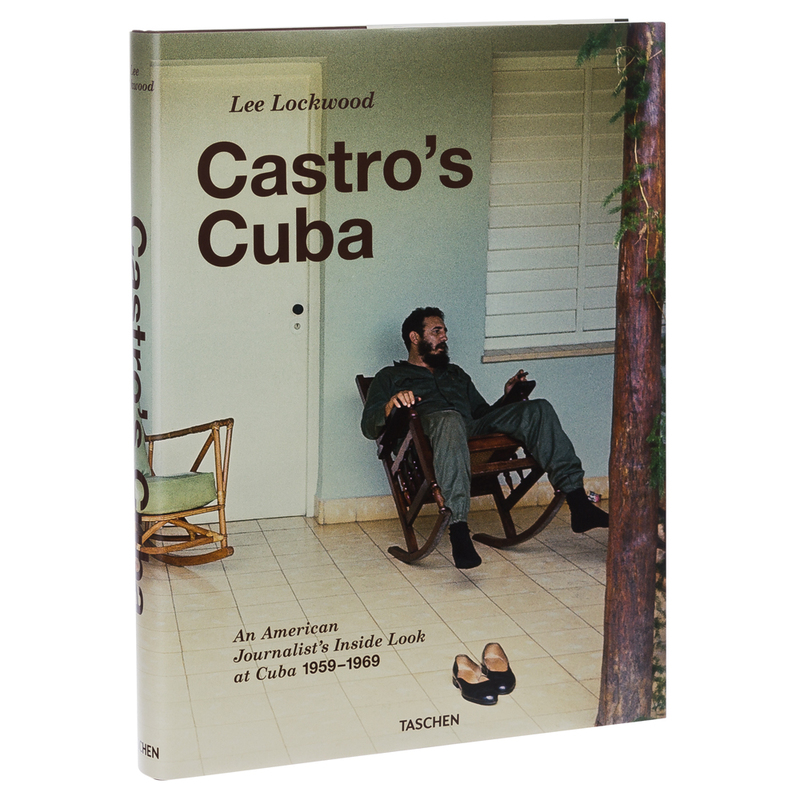 Originally published in 1967, Lockwood’s interviews and observations are now republished by TASCHEN alongside hundreds of photographs covering both the weeks Lockwood spent traveling with Castro and the years he documented Cuba’s transformation throughout the ’60s. From military encampments in the Sierra Maestra Mountains to Havana street life and political rallies, many of these color images have never been published before. A foreword and afterword by Latin America expert Saul Landau contextualize Lockwood’s work at a moment in history when U.S.- Cuba relations once again take center stage. A comprehensive inside look of Cuba and its enigmatic leader, Fidel Castro, from 1959-1969. Filled with transcripts from Lockwood’s interviews with Castro. Stunning photography throughout, both in colour and in black and white. Includes a foreword and afterword by Latin America expert, Saul Landau. Dimensions: 26cm (l) x 34.5cm (h) x 4cm (w).